FLX self-regulating heating cables are designed to provide freeze protection and temperature maintenance to metallic and nonmetallic pipes, tanks and equipment. 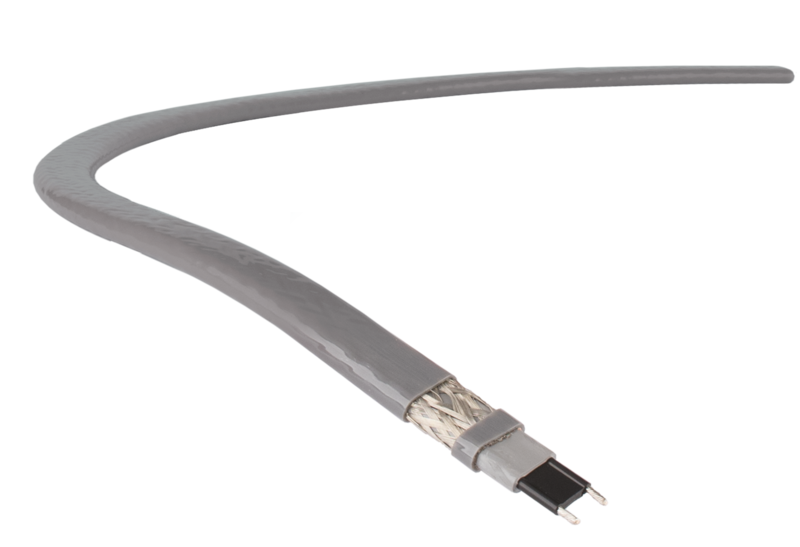 FLX heating cables are rated for heat outputs of 10, 16, 26 and 33 watts/meter at 10°C (3, 5, 8 and 10 watts/foot at 50° F) when powered at 110 to 120 Vac or 208 to 277 Vac. FLX is a proven, simple, practical solution for both metal and plastic pipes. Whether the application is a small project or a complex network of piping and equipment, designing an electric heat traced freeze protection system is easy with FLX self-regulating cables. The step-by-step design guide leads the reader through determining the heating requirements and number of circuits required to establish a bill of materials. FLX is installed directly on metallic or nonmetallic piping under conventional thermal insulation with ordinary hand tools. Kits for power connection, end termination and splicing, plus other accessories, are designed for quick and easy installation.